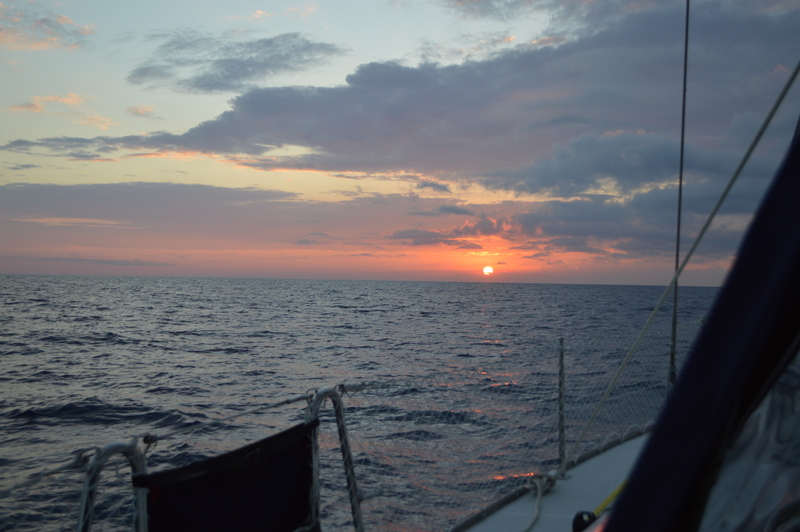 Last Sunday we woke up at 3 am and made a calm and uneventful crossing to The Bahamas. The kids loved waking up to see the sun rise in front of our bow. 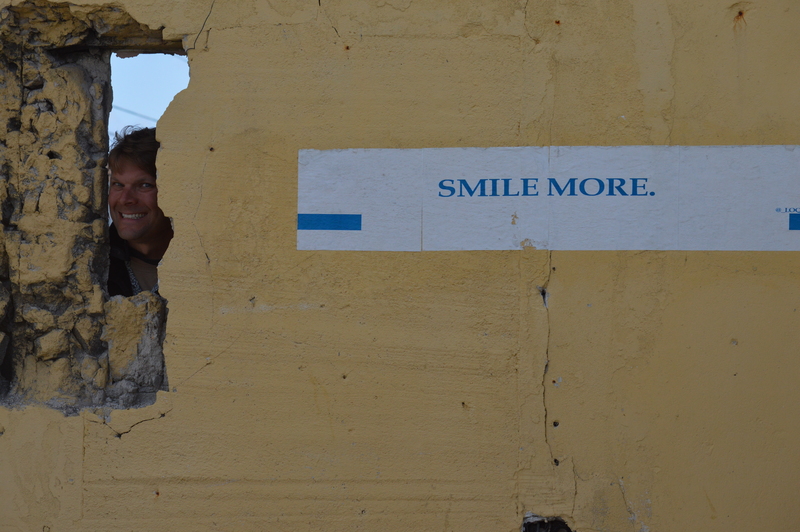 It is WAY laid back here in The Bahamas, just like everyone had warned. 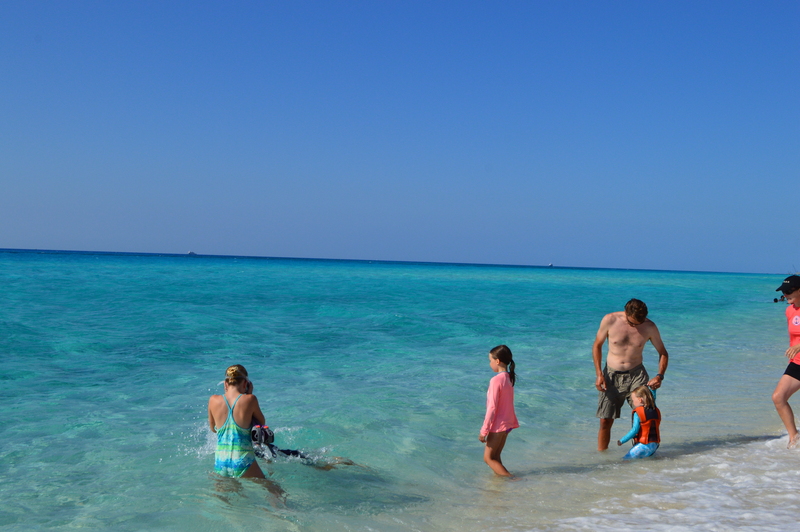 As we approached Bimini we tried to hail The Bimini Blue Water Marina on the VHF to no avail. Turns out these marinas are so chill that they don’t even have their radios on. You just pull up to a marina and pick any slip you want. “Ya’ mon, take any spot you want” is what the dock master told us as we pulled in. You gotta love it. As we were pulling into our slip, what did we see waiting for us? A nurse shark. Camden’s only wish for this adventure has been to see a shark. He shrieked, “My dreams have come true!” So neat! 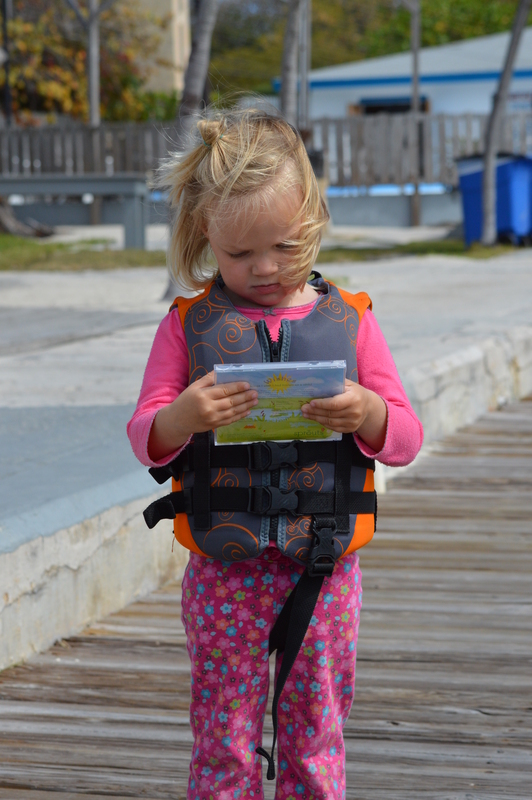 We have seen lots and lots of nurse and bull sharks during our week here. No we don’t swim on this side of the island. We swim on the west side where the sharks don’t hang. 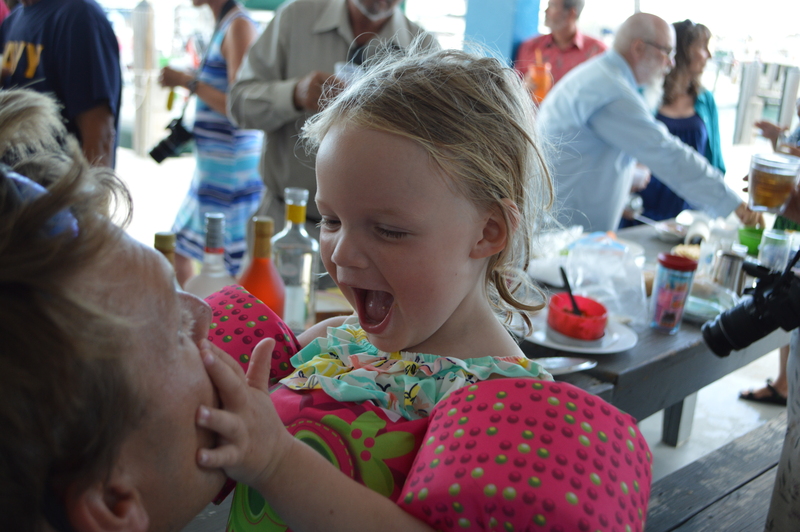 We have become instant friends with all our boating neighbors here at the marina. The couple next to us, Irene and Perry, is from Bloomington, Indiana and we adore them. Perry is very calm and cool and so fun to talk with. Marc is secretly jealous of Perry’s long sailor ponytail. Irene is classy and hippy all rolled into one. I love every conversation I have with her. Turns out she is the cartoonist for Cruising Outpost magazine and we have been reading her comics every month in that magazine for years! 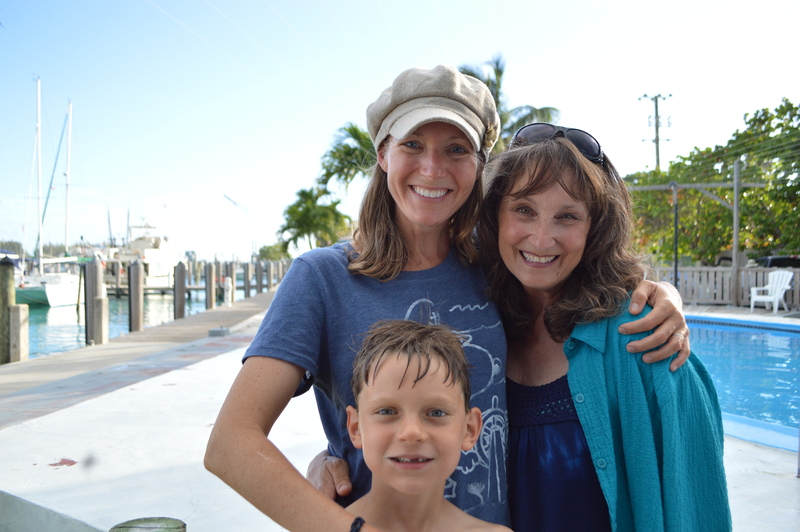 Today she gave Maria a CD of childrens songs that her daughter produced. As Marc has said before, life unfolds so much more naturally while cruising because when you meet other cruisers, there is an instant bond. And you just “get each other” and in general have the same perspective on life. We have had the fortune to meet our newest best friends. 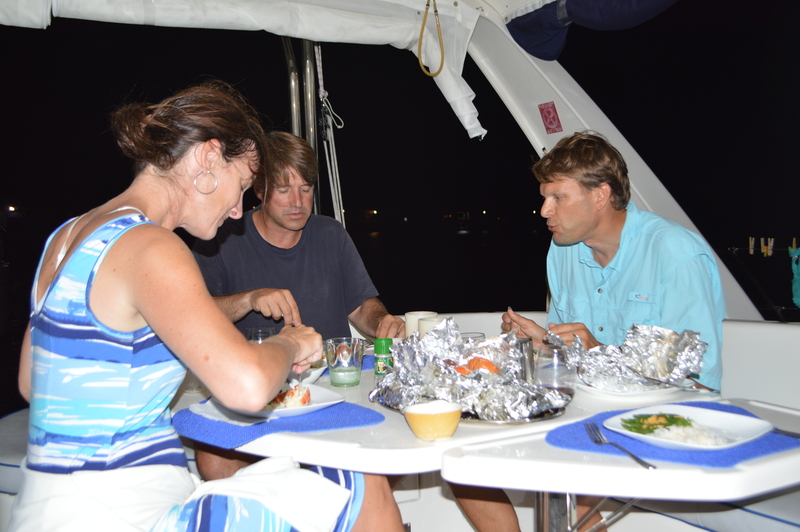 They are the Morrin family on sailing vessel Rafiki from Canada. 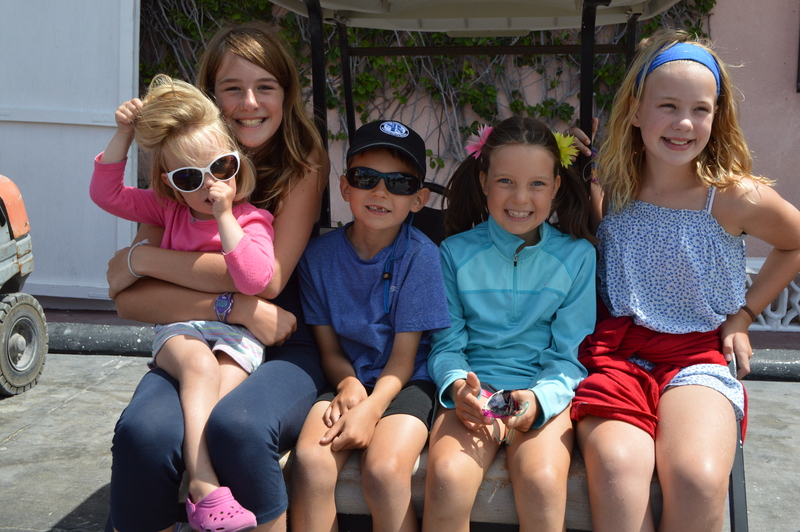 Robin and Ingrid have 2 daughters…one is 12 and the other is 10. Marc and I have become fast friends with Robin and Ingrid and Joellen and Camden have become fast friends with Catherine and Alex. 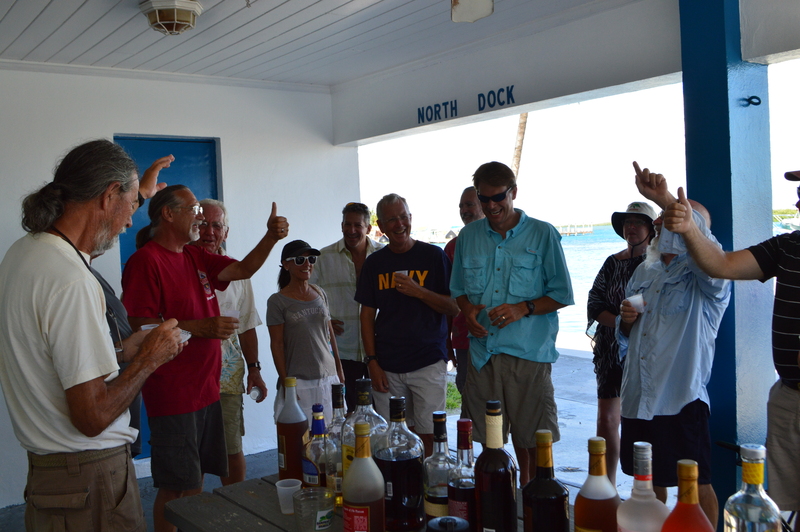 2 nights ago, another cruiser planned a rum tasting. 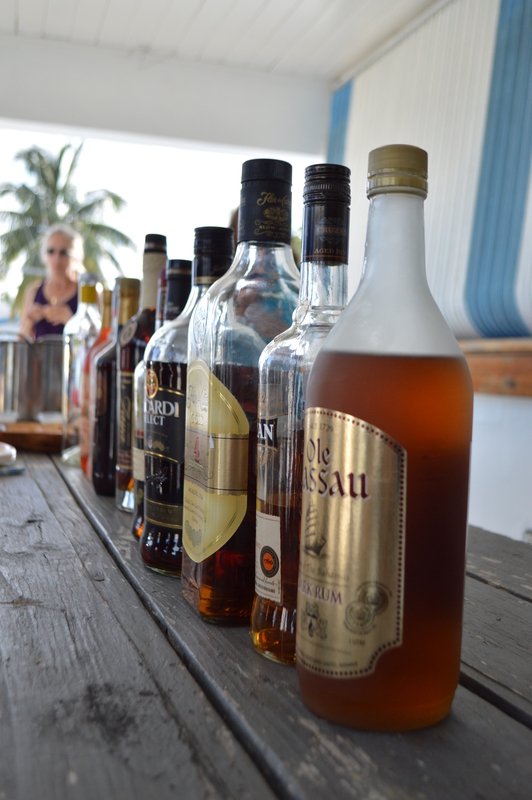 Every cruising family brought a bottle of rum and an appetizer. F-U-N!!! 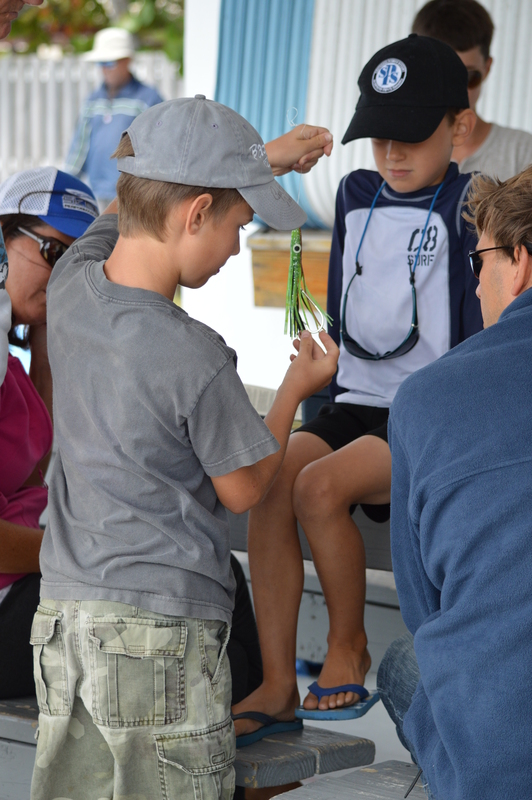 Another highlight of the week was “Fishing School”. 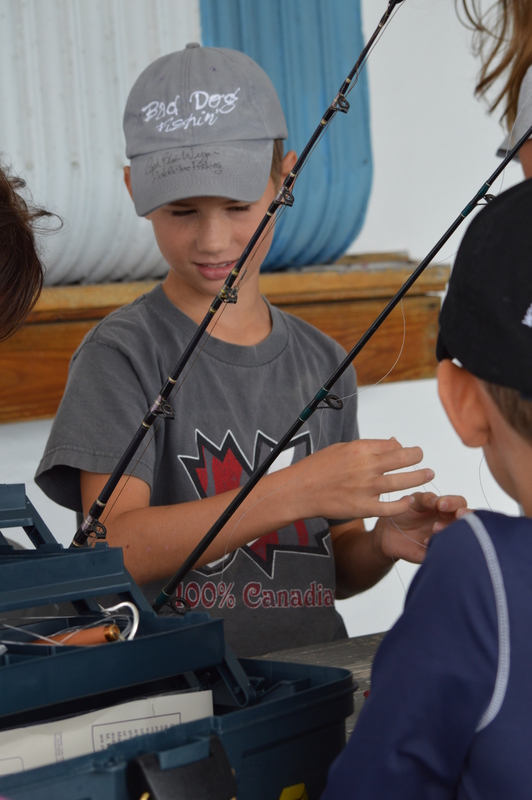 A boat from Canada two slips over from us has 2 boys on board and the 8 year old, Pierre, is a wicked good fisherman. I asked the parents if Pierre could teach a homeschool lesson to our and Rafiki’s kids along with us parents. They of course thought this was a great idea and we all went to fishing 101 today. I guess fish school worked because 5 minutes later, Camden caught this little guy. 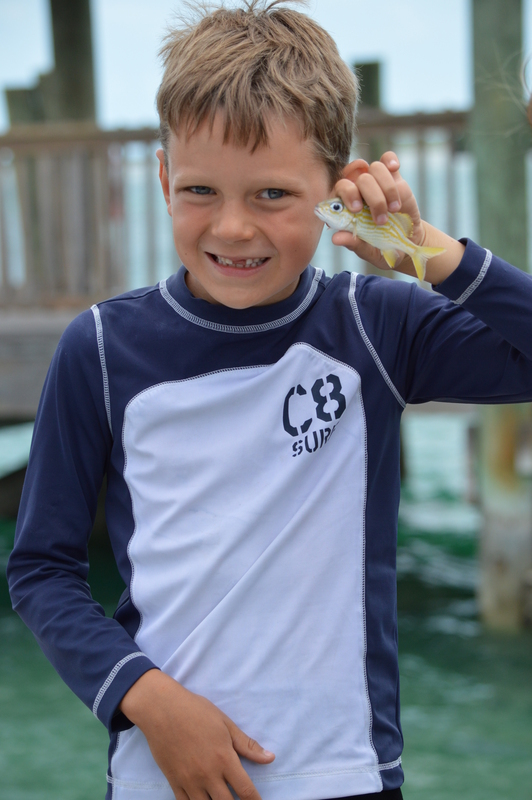 We had to release him because he is too small, but Camden has high hopes of catching some Snapper or Mahi Mahi soon. 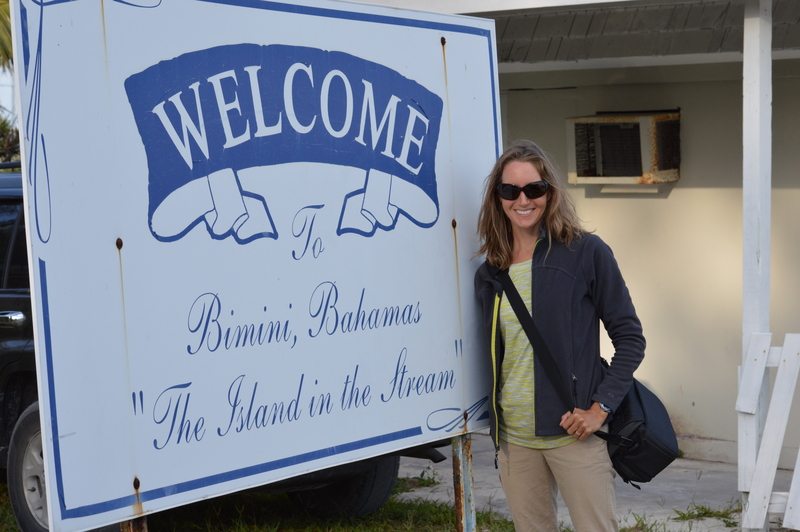 We planned on being in Bimini for just a day before we took off east making our way down to our destination of The Exumas. 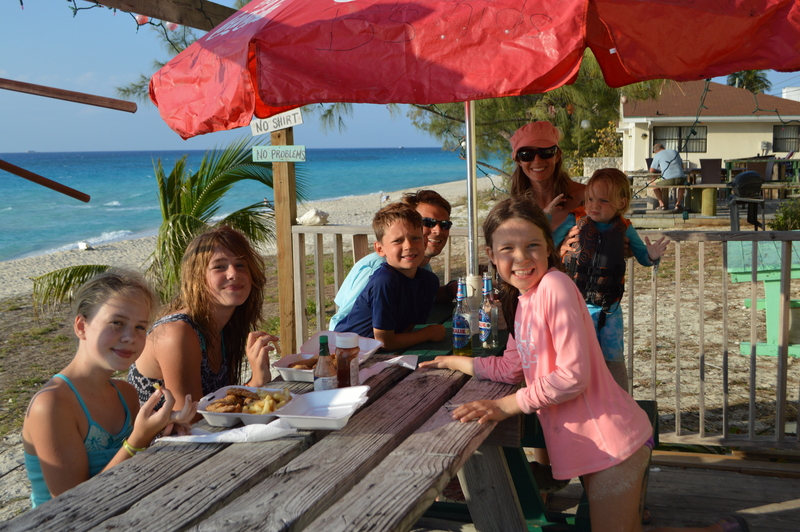 But another front came through this week so all of us cruisers are here in Bimini until Saturday. 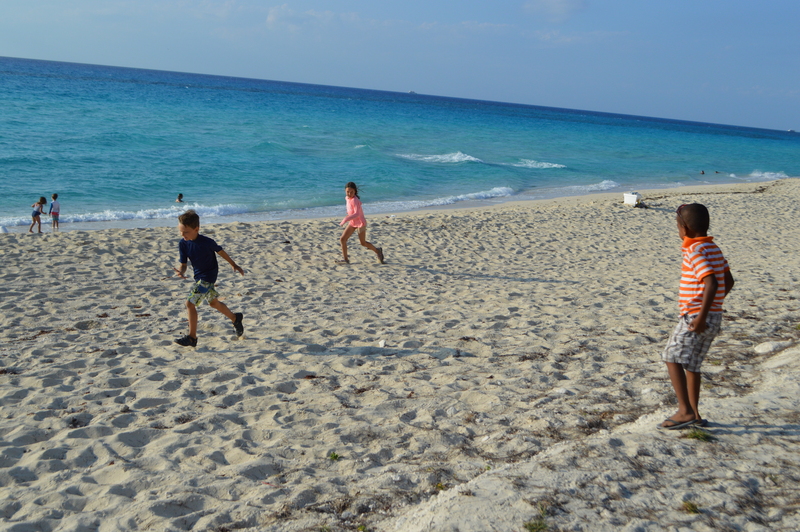 Even though Bimini is small, we have enjoyed exploring the island. Here are a hodgepodge of photos. 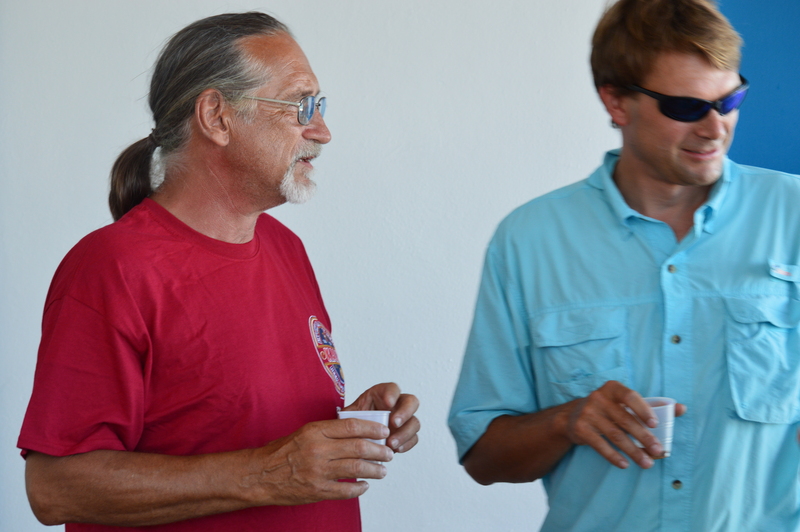 Near term plan: The plan is for about 5 other sailboats to caravan with us across the Bahama Banks and down to Nassau. It is a 22 hour trip without stops. But we may all have to drop anchor on the Banks to get some sleep at some point. 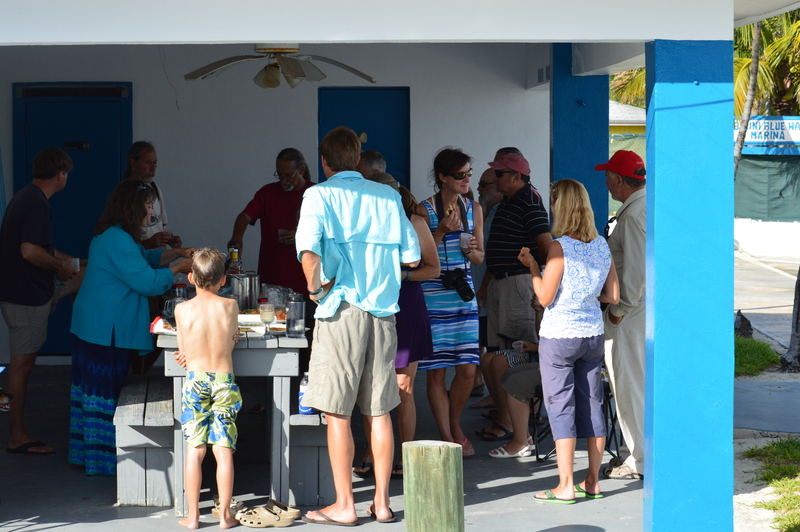 The weather looks good Saturday and Sunday so we will all head out of Bimini together first thing Saturday morning. We need to get to Nassau Sunday before the next front comes through late Sunday night. We will hopefully have internet in Nassau and we’ll get out a quick post. You can follow us this weekend on the “Current Location” page. Update: We are not leaving today (Saturday) like we had planned. Front coming through with high winds and thunderstorms. We now plan to leave Sunday afternoon or Monday morning. March 27, 2014 in Fun, Movement, People. I have been following your adventures since you left Deltaville. 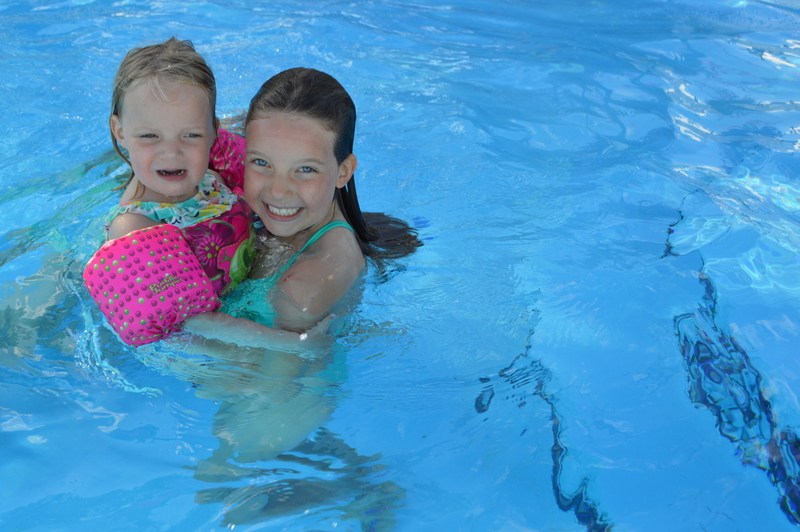 It is great to see that everyone is enjoying them selves and having a wonderful experience! Wow! Your new life is so appealing! Such a great experience for the kids to remember for a lifetime. It looks like so much fun! Stay safe! Continue all the posts…miss you! “Current Location” is so cool! We follow you hourly. 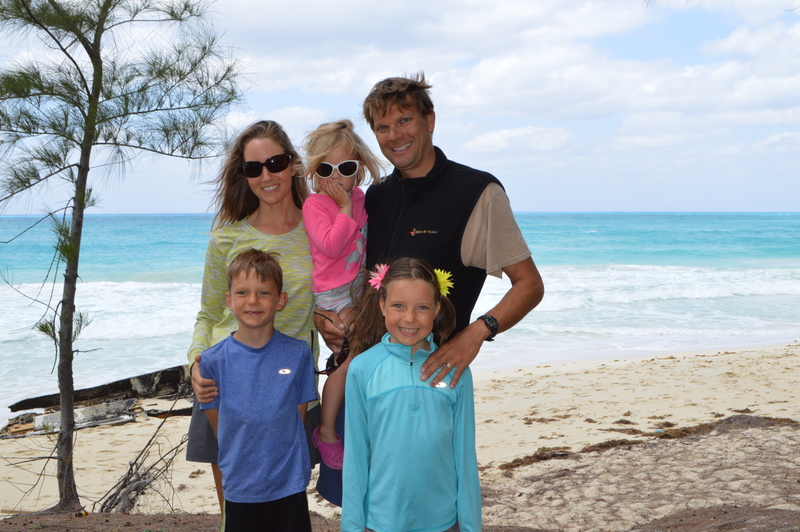 Will you make Mass in Nassau? Smooth sailing. What an adventure. Bill, yes we are going to Mass this Sunday here in Nassau. Should be neat! 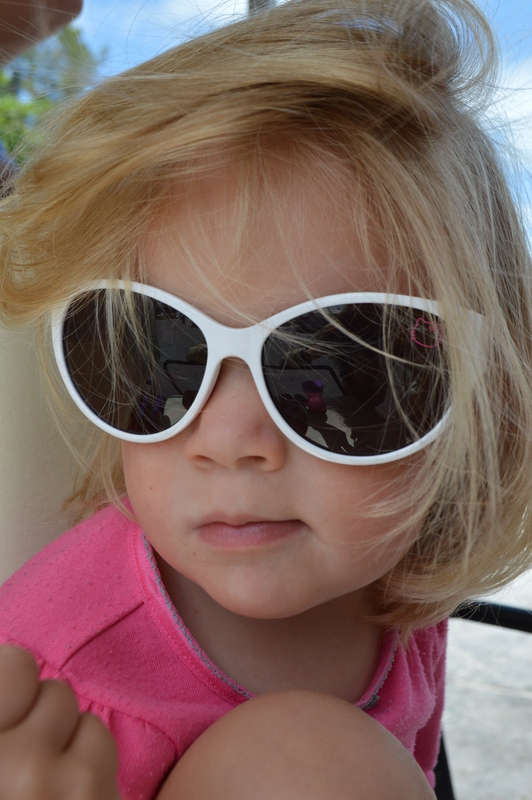 After the past winter here in the mid-Atlantic, your pictures have everyone in the McDonnell household extremely jealous. It’s tremendous that you are coming across some wonderful people on the trip. 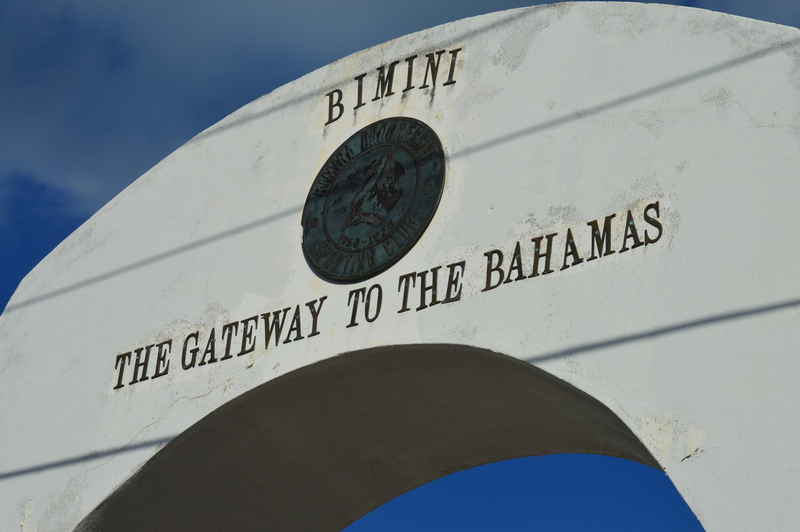 I was not familiar with Bimini, but after a few mouse clicks on Google Earth, I’m now tracking. Wishing you continued safe travels! Glad to see your update, white caps in front of my house. Everyone looks happy an healthy, does the tooth fairy have a bunk on Adagio? M/V Mambo is waiting for Elizabeth’s return, then over we come, probably the middle of the month. Not sure we will make it to Georgetown. Love the photos an stories, keep them coming. Camden, when you sail off the bank at NW Channel into the Tongue of the Ocean, wet a line for me,please!!! Yes, Adagio has a bunk for the tooth fairy. Camden should be losing his other top front tooth sometime in April. 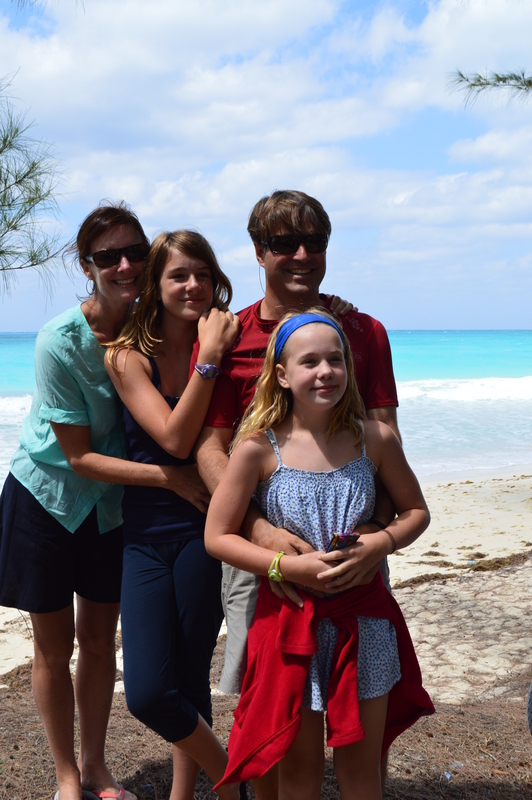 We will hopefully see you all in The Exumas. We will really take our time there so won’t be all the way to Georgetown for awhile. So hopefully we can see you. It would mean the world to us! 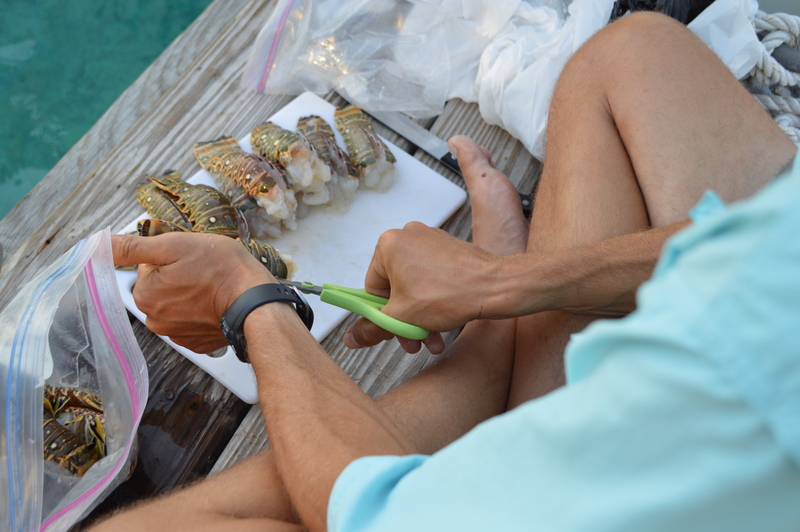 Camden will have some fresh fish waiting for you! Cool that you met a couple from Bloomington! Small world. So someone was able to call you out on your farmers tan before I got a chance, but really, Marc, come on! Ha. Just giving you a hard time….I know you could care less and that is exactly why your laid back attitude fits in well with the sailor world. We all read your post together this morning. 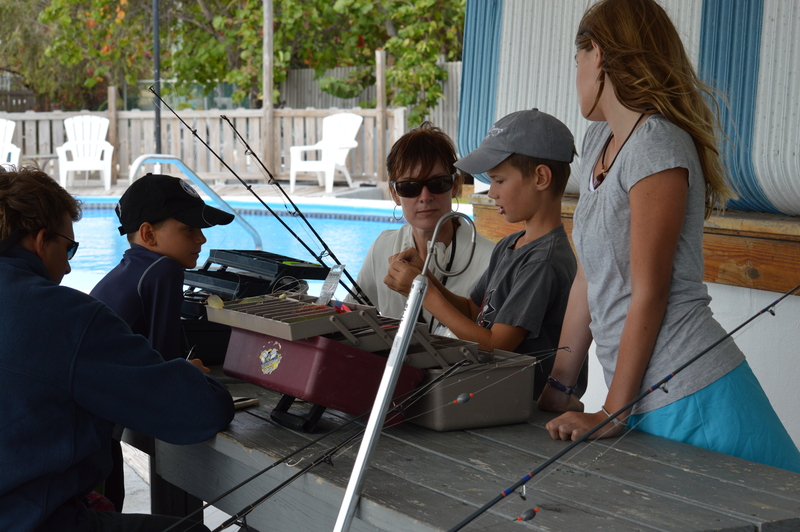 Cam and Joellen- Uncle Dan thinks it’s pretty neat that you had a fishing 101 class! James and I looked up images of nurse and bull sharks and he was impressed. Bridget wants to know 2 things: Cam, did you find anything living inside that big shell? And why are the kids not pictured in front of the ice cream truck along with Uncle Marc?? Hi Bridget. It’s Camden and Joellen. 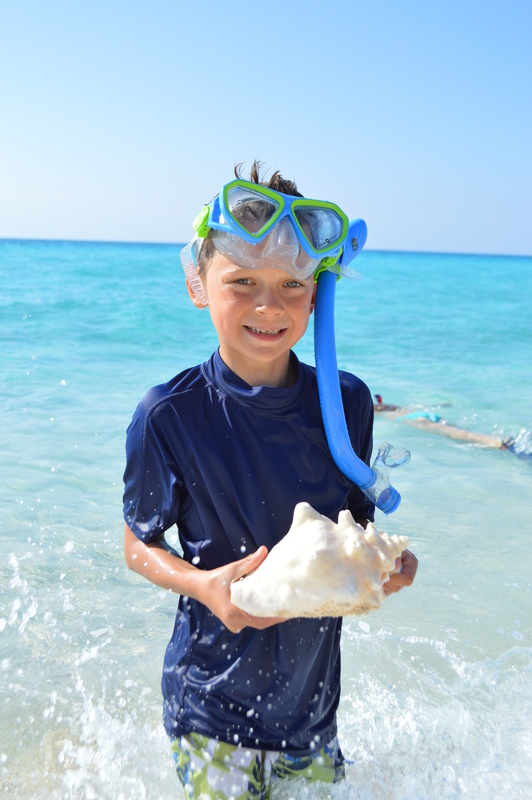 No, we did not find anything inside the conch shell. 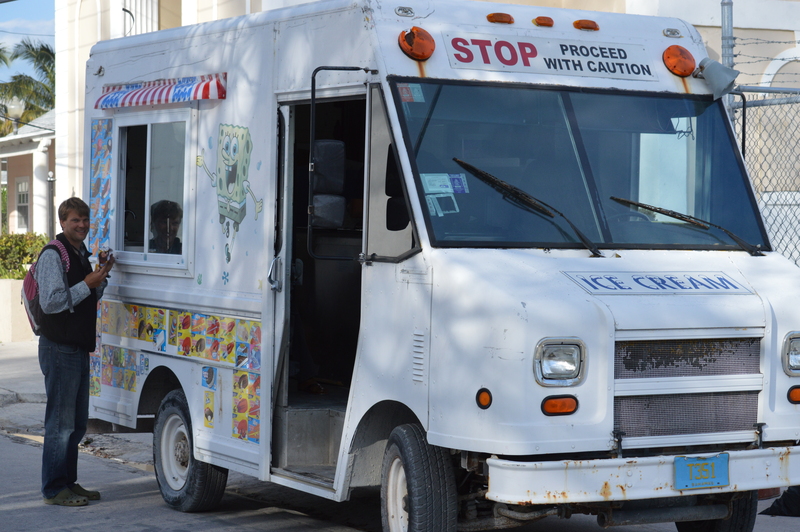 And we got ice cream one day from the ice cream truck. But mom and dad got ice cream when they went on a date. Another boat babysat us one night. We hope you come visit us. Thrilled that you are over here. We are in Green Turtle waiting for a weather window to head back to the states! 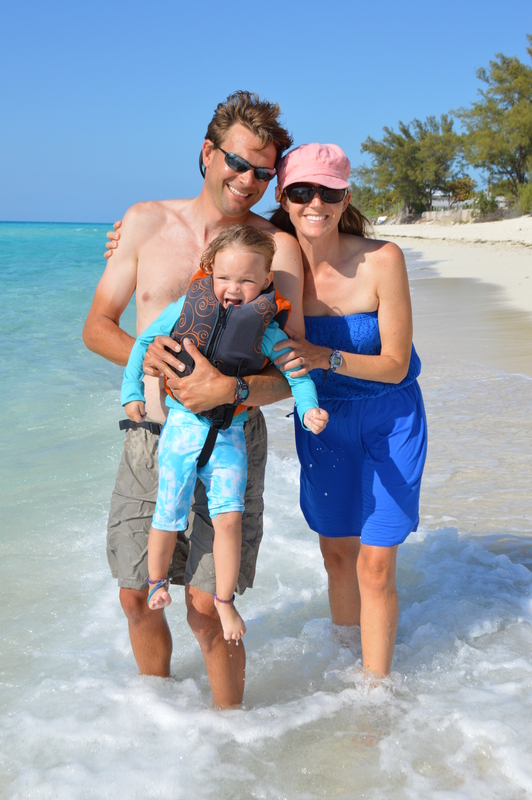 We loved the Exumas — loads of great snorkeling, hiking, and general exploration and adventure there — have fun! What an amazing adventure! Love reading your posts. Safe travels! I enjoy following your adventures so much! That blue ocean looks heavenly! We have had the worst winter I can ever remember in Indiana this year! Can you believe it snowed today? Glad you guys are enjoying yourselves. Nice farmer’s tan Marc. Safe travels Konescos! WOW, what an adventure. Love reading about the new friends especially the kids. I am sure it makes for great story telling and sharing of ideas. I am so happy the weather has been great. Did you both sail when you left at 3am? I was worried that Marc may fall asleep at the wheel. Miss all of you and love still being a part of your lives.